From America to Bermondsey, a story of hope, heartbreak and hardship, by the bestselling author of Custard Tarts and Broken Hearts. He promised her the earth. She found herself in hell. 'This book should not be missed. I cannot recommend it highly enough' Mrs H, Amazon reviewer. 'I LOVED this book. So much detail that I felt I was there. Great characters and so emotional' Oriette, Amazon reviewer. 'Amazing, heartfelt and moving' 23reviewstreet. 'This book is filled with love, laughter and hope, and while the characters do have their share of misfortunes and tragedies, what comes across in Gibson's writing is something that is sadly missing in today's modern, fast paced world – Community' Andrea Pryke, Amazon reviewer. 'The fascinating history combined with a story about real people with real problems and a lovely romantic ending made me fall in love with this book. 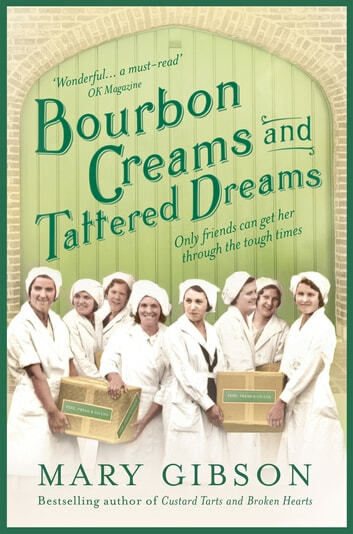 I highly recommend this heartwarming story, it has a lot of charm and character' Suze Alexander, Amazon reviewer. Very good read, kept me enthralled through the whole book. A mother's revenge for her baby. One of my he best books I've read all year. The author understands the hearts of the working class and their devotion to kindred spirits in the struggles of their daily life. An excellent read and highly recommended! This was an unusual book in that it kept on going like a never ending pack of Tim tams. You thought the story line was done and then on it would go. An interesting read. 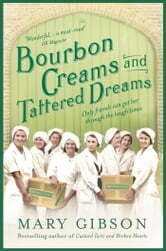 Bourbon c.reams and broken dreams. This book is a very moving story full of passion and dreams as you get further into thebook as it Changes from mystery and romance and thriller all the way through.